Darwin Oliver Starling stared down at the smoldering ruins of the Vatican from the window seat on Flight 3076 which had taken off from Rome’s Leonardo da Vinci–Fiumicino Airport ten minutes ago. Police agencies all over Europe had been investigating for a week, but so far had no clues as to the method used to initiate such mass destruction, or who had perpetrated such a heinous act. “Heinous.” Starling whispered the word to himself. It was the worshipers of the Christian God who were heinous, and the Secret Order of Athéiste had been dedicated to wiping them from existence for the past two-hundred years. It wasn’t just the Catholics, of course. In spite of what the news and entertainment media seemed to be pushing on the uninformed masses, Christianity wasn’t represented only by a bunch of child-molesting Priests, and American southern televangelists with big hair and greedy pocketbooks. They were everywhere. 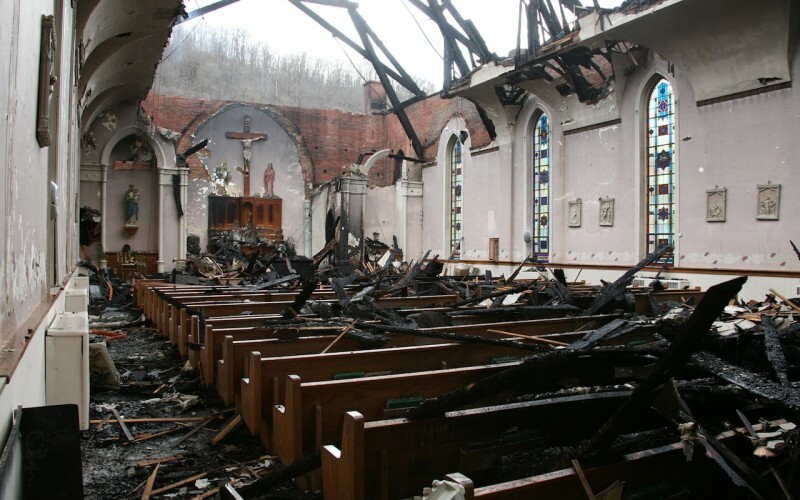 Churches and dioceses were easy to target, and if it were just a matter of blowing up every house of Christian worship on the face of the planet, the task would eventually be done. However, there were so many of them in hiding. Not in “Christian nations” like America, but in those ruled by Islam or Communist governments such as China. Those disciples would be difficult to expose, because they were already threatened by their respective ruling powers with torture and death. But the Order always had agents infiltrating such groups. It was only a matter of time until they were all located and eliminated. The aging industrialist was the current Grand Leader of the Order, but only a minor investor, in spite of his vast wealth. The sheep of the world were oblivious to the fact that some of the wealthiest men and women in the world were funding their efforts. In fact, they would be shocked to discover that many of their most beloved entertainers, innovators, and cultural icons were actively but covertly involved in crushing the Church of the Christ and the invention of the Apostle Paul. One of the perks of first class air travel and a first class life was eating the finest food, drinking vintage champagne, and conferring with movie stars and supermodels. He chuckled to himself thinking, “I am truly blessed.” Of course, there was no such thing as a blessing, only wealth, privilege, and control. It started as a mild pressure in his chest. The veal had been too rich, and the Fortune 100 CEO supposed it was just a bit of indigestion. “More gravy than grave.” The words of Charles Dickens came unbidden to his mind. Then it got worse, as if a weight had settled on his torso. They had been in the air a bit over six hours of their nearly ten-hour voyage to JFK. Unlike in the movies, there was no doctor on board, merely an EMT who was on her honeymoon with her new husband the accountant. Starling was surprised to wake up in his own bed, sunlight filtering through the curtains of the western-facing window of his Park Avenue penthouse. “Who the hell are you?” He’d forgotten for the moment that he was still supposed to be 42,000 feet above the North Atlantic. Starling reached for his cell phone on the night stand, but it wasn’t there. Neither was the land line. “Fine. I’ll put you out myself.” He rose, feeling strong as a bull, which he hadn’t experienced for the last few years, and tried to put his hands on the “pool boy.” They went right though. Walking faster than he expected, Starling went to the window and pulled the curtains aside expecting to see Central Park and the sun setting over the Hudson River. Instead, the light vanished and he was staring at black, empty oblivion. “Look at your wealth and where it came from. You didn’t build it from nothing, you inherited it. I believe it’s called ‘Old Money,’ and it has its roots in everything you’ve just mentioned. Besides that, you exploit your so-called ‘Cuban pool boy,’ paying him not quite half of what your peers offer. “You have had thirteen separate affairs, all while married, and sexually assaulted forty-seven females and eleven males between the ages of twelve to thirty-seven, starting when you were but a lad of fifteen. I recently read Matthew Tonks’ short story Who Made Who, and while it didn’t directly address the topic of God and belief, the idea popped into my head, so I had to write about it. If you could kill every Christian on Earth (an impossibility, really) would the Christian God cease to exist? If He exists objectively, then of course not, but that’s what Darwin had to discover for himself. Yes, this has logical and theological holes you could drive a truck through, but I’m exploring a concept, not creating a credible world. Have a think or two. The idea totally fascinates me. The concept of killing all who believe, to kill a belief. It makes sense, yet does it? Thought provoking! I read a story a long time ago about a war god whose believers were dying off and who knew when the last of them were gone, he would cease to exist as well. However, if there were an objectively existing God who was there before the universe and will be there after it, then even if you exterminated all of His followers, He would still continue to judge all those who opposed Him. Daunting thought. A good question but you can look at it this way; you can exterminate the followers but not the ideology if that is prevalent then there will always be followers…. An omnipresent, ever-lasting creative God transcends the need to be worship and is self-sustaining, and yes, somehow throughout the ages, He has always been worshipped, no matter who has opposed Him. I like your story, James! I don’t think the “commies” of twentieth century Hollywood or the Cold War or subsequent cultural conflicts could’ve done a better job of what McCarthyism has accomplished in churches and certain types of parties (which I will leave unnamed). The infestation is a success (so far anyway). How many Christians are “infiltrators” who must be followed? Besides what is commonly available to know about McCarthyism on the surface, I watched a Christmas movie a few years ago and thought it was very pleasant. I was a bit discombobulated by what I had no reason to expect next. No, the story hadn’t been about decorations and music in department stores or making a fiance of the new boss or Santa Claus performing miracles. It also wasn’t set anywhere like five B.C. to five C.E . Afterward, there was a note that said it had been banned. In the U.S. And the citizens involved in its making blacklisted. The story pertained to a man who helped his neighbor and convinced all the neighbors around to also help; they rebuilt a barn after a fire. The man gave up something else he would have had; he had given up something kind of significant for his own farm, but not as essential as a barn. Other people had foregone spending their little bit of extra on trinkets from the store. Nice question! Of-course there is no people that has not worshipped him till today. because of Jesus, today there are numerous of people who are living a great happy life and a lot of people have changed in person in a better way.